What: Sparta Floral will help our 4-Hers create a Terrarium or Dish Garden. Starting with an empty dish or tank that you bring or pick out at the shop, attendees will follow steps to create a unique miniature garden to brighten up any room. Topics will be choosing the dish, choosing plants, accessories, setting the plants up, how to plant, landscaping, adding or changing plants, and watering/care for the terrarium/dish garden. You don’t have to be in the Gardening project to attend. Cost: The cost will vary depending on what you choose to plant, but figure between $20-$30. Your garden could be entered in the fair and earn you a blue ribbon. We need three more attendees to hold the workshop so sign up by Wednesday, April 4th. Fur, Fin, & Feather: It is not too late to go. You will just be doing “Day Of” registration. You should plan to get to the Barney Center by 8:30 or earlier to get registered. This is a great educational, fun show for youth to see if these projects are of interest to them. Pop Tabs: We are still collecting Pop Tabs for Ronald McDonald House Charities. Your club collections of pop tabs need to be in the Extension office by April 30th. We will weigh each club’s collection to find a winner. The winning club will receive a prize. If your club cannot get the tabs to the office during business hours, they may be dropped off in room 220 by the elevator any time. Please make sure the containers are clearly marked with which club they are coming from. Summer Camp: There are a few updates to summer camp plans this year. Upham Woods: Unfortunately, the June 15-18 Summer Camp at Upham Woods are closed. Those who responded to my email were entered in the lottery. I will hear tomorrow or Wednesday who will be invited. 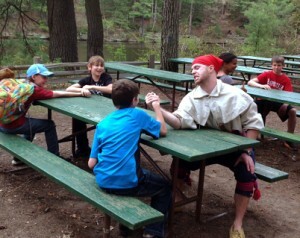 There are still two options for an Upham Woods summer experience. There is a 7-day camp Aug. 5-11. The cost is $400. The county will give a $90 scholarship leaving $310 for the families to pay. I am sure it would be worth every penny but I know that is a lot of pennies. There is a 4-day camp July 20-23, that is the weekend before the Monroe County Fair. The cost would be $180 before the scholarship $90 from the family after the scholarship. I know this is not ideal for those with lots of fair projects but it is an option. If you want to be a counselor for Outpost I need to know by April 10th. The first training is planned for April 21st. If you would like to chaperone our Outpost Experience, please let me know and I will start adding you on planning info. If you have questions about any of the above information please don’t hesitate to ask through this email address or calling 608-269-8722. Here it is the 3rd week of February already. I want to focus on Four things with this update. I would like to apologize for getting off the communication schedule with the delay of the Jan. Feb. Paper Cloverlink. We will be sending the March/April edition out the 2nd week of March. We will then get back on track the first week of May. Thanks for your understanding. So, now onto the updates. Festival of Arts: The event will be Sat. March 3 from 8:45 to 2 pm at Meadowview School in Sparta. The deadline to enter was moved to this Friday, February 23rd. Please consider sharing your talents with us at this fun exhibition of the arts in 4-H. Arts, Crafts, Photos, and marketing items do not need to be pre registered, only stage performances. Also, Club Leaders please let the office know how many tables to have ready for your displays. 4-H 101: I think there might have been a error in the link I sent to this event here is the full link: https://goo.gl/forms/Wg0jtqdILDE3t36E3 I hope to see new families here learning about how to get the most out of our Monroe County 4-H Program. Summer Camp: Summer is going to come I promise. With that, Camps will be here too. If you missed it in the Paper Cloverlink we are changing a number of things with camp this year. Base Camp: is earlier that it has been the last few years it will be June 15-18 and there are only 80 spots for four counties and the public so you will want to get signed up soon. There is also an option to attend a 7 day camp from Aug. 5-11. The $90 Scholarship can be applied to this camp. You will only receive one scholarship for the summer. Do not worry about the balance due when you enroll. We have worked with Upham, you will be invoiced from the Monroe County Extension Office in the beginning of May for your fees after the $90 scholarship is applied. Outpost: Monroe County is doing our own Outpost this year. We are inviting our LaCrosse County 4-H Friends too. The event will be just over the county line in Ontario. The dates are Monday, July 9-Wednesday, July 11. Fees for Monroe County 4-H Members is $30, for non 4-H friends it is $75. You will be invoiced in early May. All camp registrations are due April 30. If you are not registered by April 30 you may not receive the $90 scholarship or a spot at camp. I hope you all have a great week and I look forward to seeing many of you at the events we have coming up. It is hard to believe there is only a little more than a week left of 2017. The Holidays are here and all that entails, we wish the best for each of our members, volunteers, and families in this season and the New Year. This is the e-Cloverlink for the 1st/3rd weeks of Dec. There are a lot of reminders for the New Year. If you have questions feel free to contact us here at 608-269-8722 or email Joshua.goede@ces.uwex.edu. Here is the list with information. Clover College: The annual Clover College for all Monroe County Cloverbuds is scheduled for Saturday, January 27th. It will start at 12:30 pm and wrap up at 3:30 pm. The location will be at Justin Trails near Leon WI. The address is 7452 Kathryn Ave, Sparta, WI 54656. There will be outside time as well as art projects, snack making, and Science projects. The cost is $10 per youth, $20 per family maximum. There is an e-enrollment at https://goo.gl/forms/d1GIKeKCwjyt9RBk2. The registration deadline is Monday, January 8, 2018. Monroe county 4-H is still looking for a manager for our food stand. This is a paid position. The Manager is responsible to run the food stand the week of tractor pull and the week of fair. There is about a week of planning for each event with a couple of calls a few weeks prior to each event. The food stand is our main fundraiser so we need a good person willing to help make our food stand a great place to work together to help Grow 4-H in Monroe County. Record Books: The review is off to a slow start. There has only been a few comments entered into the form. This is the link to the open forum https://goo.gl/forms/jHxEufcxuSwsFtsj2. You can add your thoughts about what is the purpose of record books; how they should be judged; what they should include; should we discontinue the practice; should they be narrative in nature; should they strictly be records about projects; ECT… you can see there are many thoughts and ideas that go into that whole process. We will meet on January 11 at 7pm. The meeting will be at Rolling Hills, we will participate in a SWOT (Strengths, Weaknesses, Opportunities, and Threats) Analysis, a business model for growth and development. We will discuss Strengths, Weaknesses, Opportunities, and Threats as they relate to not only our record books but the whole awards system we have here in the county. There must be voices for these discussions to mean anything. Let us know you plan to attend using this form https://goo.gl/forms/NWWjjXCHrhqYnYyq2, emailing joshua.goede@ces.uwex.edu, or call the office 608-269-8722. If no one shows an interest in these discussions we will be forced to investigate the necessity of having record books and awards in Monroe County. BINGO: Monroe County’s next BINGO night at the Sparta Eagle’s Club is Saturday January 20th. LaGrange and Stepping Stones are in charge of two pans or 2 doz. baked goods each. We will also need volunteers for the event. We’ll need two to work the food stand starting at 4:45pm and finishing at 8:30 pm. Then 6 BINGO Card workers start at 5:30 done at 9pm. If you like to help with this fun and active event please let me know at goede@uwex.edu. Sparta Holiday Lights: Monroe County Jr. Leaders and the Denim n’ Dust 4-H Club helped at the lights this year. The organizers have asked me to put out the word that they will need help dismantling the displays on the 6th of January. They usually work from 9 am to noon. If you are able to help let me know and I can connect you to the group. The weather has finally agreed with the calendar and is acting like fall, a little wet but fall none the less. It will not be long and we will be wishing for that warm toasty weather of summer. There are many activities coming up in Monroe County 4-H. We are getting things back into routines so I wanted to make sure to get back to regularly communicating you the 4-H families. Look for e-Cloverlinks on the 1st and 3rd weeks of the month. Feel free to send anything you want posted in the e-Cloverlink and it will be added in the following edition. A slight change in the paper Cloverlink schedule for 2017-2018. The mailed Cloverlink will come out the 1st weeks of September, November, January (2nd week), March, May, July. The deadline to get material in for the paper Cloverlink will be the 20th of even months. Mailing list: This time of year we use the mailing list from last year to make sure all families stay informed. On October 15th all 4-H communication will use the new enrollment information. If you want to stay connected to Monroe County 4-H please make sure you enroll for the current year by October 15th. Enrollment: The new enrollment year opened on Sept. 8. We have almost 100 members re-enrolled, yea. Last year’s final enrollment was 357 members and 102 adult volunteers. The numbers from 2015-16 were 324 members and 94 adult volunteers. This is the largest year over year growth in my five years in Monroe County. Our program is starting to really grow. Isn’t that great? Our goal this year is to fully engage as many of our members new and returning as we can. Make sure to get you and your family re-enrolled by October 15th to meet the soft deadline and stay up to date. Definitely make sure to enroll by midnight on November 1st to avoid the $5 late re-enrollment fee. New families are welcomed into 4-H at any time with no late fees. But encourage all those friends thinking about being 4-Hers to join sooner than later so they don’t miss any of the fun. Bingo Nights: Are you looking for something fun to do this fall and winter. Join your Monroe County 4-H friends for a fun night of Bingo at Sparta’s Eagles Club. This will be a great opportunity to break up winter’s doldrums. It will be a chance to get out of the house and have come inexpensive fun and help all the great things going on in Monroe County 4-H. Bingo will be 6-9 pm on the following dates. October 21, Nov. 11 (Veterans theme), Jan 20, Feb 17 (Valentines theme), March 17 (St. Patrick’s Day theme). Monroe county youth and adult volunteers will staff the BINGO and the Eagles will have Soda and non-alcoholic drinks for sale. 4-H will also offer concessions, a dinner plate with a BBQ, chips, pickle, and a dessert provided by 4-H members. The price will be $5. 4-H hopes to see you for fun in the chilling weather. Jolly Joiners and Leon are supplying the baked goods for October 21. We need five volunteers to run the event on October 21. Any talented Bingo Callers out there? There will not be alcohol so it will be a family friendly event. Jr. Leader Meeting: There will be a meeting for Jr. Leaders on Saturday, October 14th. The meeting will start at 2:30 pm at Rolling Hills. All Monroe County 4-H Members from 7th -12th grade are welcome to join our activities. We will have a presentation and conversation about the COMPASS NOW Survey. This is a unique opportunity for youth to give input and perspective on many issues facing whole of Monroe County, everything from poverty to youth programs like 4-H. We will also plan for upcoming events like the Family Celebration and Clover College. We will also consider seeing a movie. Interviews for Experiences: Just a quick reminder that the deadline for the Letter and Resume to be eligible to interview for state and national 4-H experiences INCLUDING SPACE CAMP THIS YEAR is Oct 16 since the 15th is a Sunday. Here is a link the packet on the website: https://monroe.extension.wisc.edu/files/2015/03/2016-Guideline-Book.pdf. The Letter and Resume can be emailed to goede@ces.uwex.edu mailed in as paper copies to Monroe County 4-H, 14345 County HWY B, Room 1, Sparta, WI 54656. However they must be in my possession by 4:30 pm on Monday October 16th. You will be contacted to set up an interview. Expansion & Review: The Expansion and Review Meeting will take place on October 17, at 7 pm, the group will meet in the Activity Room of Rolling Hills. The meeting topics will include Monroe County’s make up and resources, and what we feel 4-H could be doing. Focusing on how to include all areas and youth of the county. I would still like suggestions of community members who are familiar with 4-H or represent interests in the county. Project Hours: There are questions about the requirement to track educational hours for the 2017-18 4-H year. I am working on crafting an explanation that will answer the questions you have about what counts and what does not. I want to explain the reasons behind why we are embarking on this added requirement. You will also find PDF copies of the forms attached to this email. 4-H is an educational organization. Our motto developed in the 1920s states that we aim to make the best better. This requires we try new things, learn new lessons, evaluate new ideas, and invest our time in what we want to learn. Looking at successful 4-H programs they have one thing in common. They have strong project learning. There are club project leaders, project meetings, and county wide project clubs. This gives youth something to plug into. When we have strong project leadership youth plug into 4-H and identify with their passions and are able to find new things they enjoy. National 4-H recommends that 6 hours for non-livestock and 10 hours for livestock is a minimum standard for time spent learning new things about projects. Record Books: The books are almost all scored, the committee will finish next week and figure out and order awards. The books are well done this year. There are fewer but those entered are high quality. I look forward to celebrating your achievements at the Family Celebration on November 10. Family Celebration Event: November 10 at 7pm will be the 2017 4-H Family Celebration. All 4-H families in Monroe County are invited to celebrate the great people and events that made 4-H great in Monroe County this past year. 4-H Trainings: Monroe and LaCrosse Counties will be holding e-Forums to get the new year rolling. There is more information attached to this email. A link to an electronic sign-up form for fair shifts will be emailed out to all families. Clubs that have five or more members work two shifts at tractor pull will receive the link on Monday, June 19. All other clubs will receive the link on Tuesday, June 20th. They Will release at 8:30 on the respective day. When you open the form it will list the shifts and how many spots are already filled. This way, you know how many spots are open in each shift. Please fill out the information completely If you cannot use the electronic form please call the office and we will help select your shifts. The list below is the shifts for 2017 County Fair and the number of people needed for each shift. The food stand manager has pared down the numbers from years past so it is important that each shift listed here is filled. We are also going to see how doing breakfast on two mornings will work at Fair. We will need 3-4 volunteer 16+ each on Saturday and Sunday mornings. This is the grid for club responsibilities. If you have questions make sure to ask by calling the office at 608-269-8722. It is a little cooler today, it will not be long and we will be wishing for cool weather like this. There are many activities coming up in Monroe County 4-H. Our summer assistant Jessica will be joining us in a little over three weeks and she will begin her planning for the Boy’s and Girl’s Science days as well as our 3-6 grade Summer Road Trip. There is so much great stuff on tap for the summer of 2017. I can’t wait to get it started. Below are the updates. to get signed up right away. Deadline to sign up is Friday June 2nd. Clothing Preview: Our annual Clothing Preview will be held Monday, June 19th. The event will again be located at Rolling Hills’ Auditorium. Registration will begin at 9 am. The show will start at 9:30 am. Instead of creating an electronic form I am attaching the pre-registration form to this email. The entry deadline is June 5th. Tractor Safety: Tractor Safety is filling up fast. The Tractor Safety and Certification Course will be held on June 19- 21, 2017 at the Barney Center, 1000 E. Montgomery St., Sparta. The course is taught by UW Extension Agents, Tomah, Brookwood, and Sparta Ag Teachers, with presentations/ demonstrations by Sparta Area Fire Department, and Law Enforcement. The course will run from 8:00 a.m. to 4:00 p.m. each day. All classroom and driving practicum will be conducted at the Barney Center in Sparta. Participants must attend the entire course and pass written and driving exams in order to pass and receive the certification. The purpose of this course is to satisfy the requirements of the Federal Hazardous Occupation Order for Youth under 16 and Wisconsin Law Act 455. The federal law applies to youth who are at least 14 years old but less than 16 and who intend to work on farms not owned or run by their parents. The state law applies to youth under age 16 operating tractors on public roads for their immediate family’s farm. All youth under the age of 16 who intend to operate tractors on Wisconsin public roads must have this state certification. Youth must be at least 12 years old at the time of the course to attend. Youth under 12 years of age at training time legally cannot participate in the training program. Foods Review: Foods Review is scheduled for July 19th at St. Patrick’s Church in Sparta. There will be an email to all members enrolled in the Foods projects with more information and registration information in the May/June Cloverlink. Outpost: LaCrosse County and I are looking at plans for our traditional Grade 6-8 Outpost experience during Summer Camp. We need to know if there is interest in this. The cost and dates would be the same as Base Camp. Please let me know if you or your youth would be interested in this experience. We need at least 15 Monroe County youth attending to make it happen. I have heard from only 1 person interested in this experience. If no one shows interest by June 5th we will discontinue planning the event. Adults: We need adults to sign up for camp too. If you are interested in a great opportunity to help kids have a great time and learn about the outdoors. This is a great way to do that. You sign up the same way as the kids on your 4-H Online Account. State 4-H Dog Show: Monroe County 4-H is sponsoring the 2017 State 4-H Dog Show. There is a committee meeting on May 23 at 7 pm. The meeting will be in room 220 here at the UWEX Office. They will meet regarding judge selection, program management, show schedule, food options, as well as lodging. If you would like to help make sure we have a great event please consider joining. Monroe County 4-H Food Stand: Plans have started for our food stand for tractor pull and fair. Tractor pull will be handled by clubs each signing up for a shift. Those clubs unable to fill a shift will tell how many short they are by May 24th. We will then post the shifts where help is needed. I know for sure the Saturday, 12:30-4 pm shift is one that will need lots of help. Please consider working these shifts your program needs the Food Stand to be successful. The Fair shifts will again be an individual sign up. The Club requirements will come out this next week and the sign up will go live on June 5th. Cloverlink: The May/June Cloverlink will be printed the First week of June. Reporters need to have their minutes in to mocowi4h@gmail.com if they want them in the newsletter. Fair Entry: The online entry system for the county fair is live the link is here: https://www.blueribbonfair.com/BRFairProd/BlueRibbonStart.aspx?ID=1218 there is also a directions document here: http://monroecountyfairwi.com/pdfs/2017/OnlineEntryUserGuide.pdf Both links are on the home page for the Monroe County Fair. Dairy Windows: Clubs are again asked to make a display for June Dairy Days. Place a poster or decorate a business window with a message celebrating Wisconsin dairy. Register the location by May 31 and submit the photo by June 2nd. All participating clubs will receive an award for the Dairy Promotion Board. Ask your leader for more information. I hope you are enjoying our wet weather. Remember, it is supposed to bring flowers at some point. Anyway, here it is the first week of May already and another opportunity for me to share some 4-H information with all of you. I promise no more yellow print, I will stick with bold colors. Clover Camp: The annual Clover Camp for all Monroe County Cloverbuds is scheduled for Saturday, June 17th. It will start at 8 am and wrap up at 2 pm. I am working on firming up the location and will share it when it is final. This years theme is All About Water. The cost will be $10 to cover all the fantastic activities. One major change this year is you will need to bring a sack lunch. Click this link https://goo.gl/forms/yrpZuHAKM2zvzZaU2to get signed up right away. When: May 6, 2017 May 20th will be the make-up day. Deadline: Thursday May 4th NOON!! All Youth exhibitors must attend at least on Jr. Livestock Committee Meetings to be eligible to sell at the Auction on Saturday evening. There is no longer a first year exemption. Youth grade 3-8 may be represented by a legal guardian. All Youth grade 9+ must be present in person. The final Jr. Livestock Committee Meeting will be held on June 6th at 8 pm at Brookwood High School, 28861 WI-131, Ontario, WI 54651. This will be your last chance to meet the requirement to sell. Clothing Preview: Our annual Clothing Preview will be held Monday, June 19th. The event will again be located at Rolling Hills’ Auditorium. Registration will begin at 9 am. The show will start at 9:30 am. There will be an electronic registration coming out in email on or before the next e-Cloverlink the 3rd week of May. Outpost: LaCrosse Coutny and I are looking at plans for out traditional Grade 6-8 Outpost experience during Summer Camp. We need to know if there is interest in this. The cost and dates would be the same as Base Camp. Please let me know if you your youth would be interested in this experience. We need at least 15 Monroe County youth attending to make it happen. Foods Review: Foods Review is scheduled for July 19th at St. Patrick’s Church in Sparta. There will be an email to all members enrolled in the Foods projects with more information and an electronic registration link in the May/June Cloverlink. Monroe County 4-H Food Stand: It is that time again to be thinking about our food stand for tractor pull and fair. Tractor pull will be handled by clubs each signing up for a shift. Those clubs unable to fill a shift will tell how many short they are by May 20th. We will then post the shifts where help is wanted. Please consider working these shifts when they are open, our program needs the Food Stand to be successful. The Fair shifts will again be an individual sign up. The Club requirements will come out this week and the sign up will go live in mid-May. I am excited to start a new communication effort. My plan is to send communications on the 1st and 3rd weeks of the month. The 1st week of February, April, June, August, October, and December will be our traditional paper Cloverlink and it will be uploaded on the website and in 4-H Online. The deadline to be in the paper Cloverlink is the 20th of the odd months. The other weeks will be an email digest with important links and upcoming opportunities. I am looking at a way to catalog the email versions as well. Clover Camp: The annual Clover Camp for all Monroe County Cloverbuds is scheduled for Saturday, June 17th. It will start at 8 am and wrap up at 2 pm. I am working on firming up the location and will share it when it is final. This years theme is All About Water. The cost will be $10 to cover all the fantastic activities. One major change this year is you will need to bring a sack lunch. Click this link https://goo.gl/forms/yrpZuHAKM2zvzZaU2 to get signed up right away.  When: May 6, 2017 May 20th will be the make up day. Please enter your information to enroll in the 2017 Photography Workshop. If you have information that you would like shared in these emails please share it with me and I will add it to the next email that goes out. All the best in the weeks to come. An updated Wisconsin Custom Rate Survey of the cost for common farming operations is available from USDA-NASS: 2017 Wisconsin Custom Rate Guide The data were collected last fall. For most operations, the cost has increased 1% to 3.5% since the 2013 survey (the last one done).